So, for these kind of days I do have a few handy quick recipes that I can just whip right out of my sleeve. I have to warn you, they are out of a box, or out of a package from the fridge, with a few added ingredients here and there. 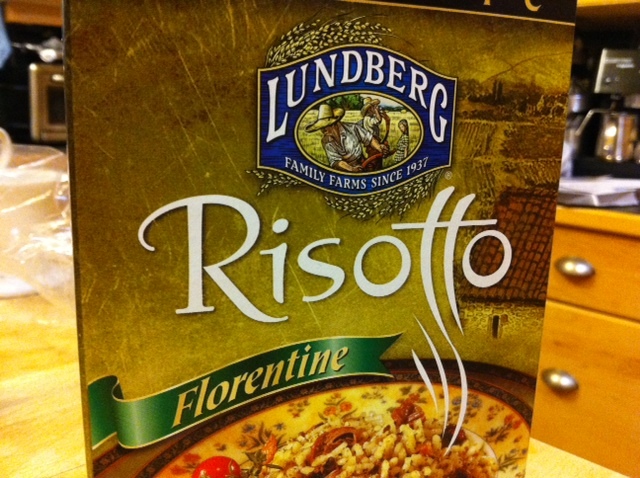 So today’s lucky contestant is one of my favourite: Lundberg Risotto. What I like about it is that they have two flavours that are clearly marked on the front as vegan! I wish other companies did that!! 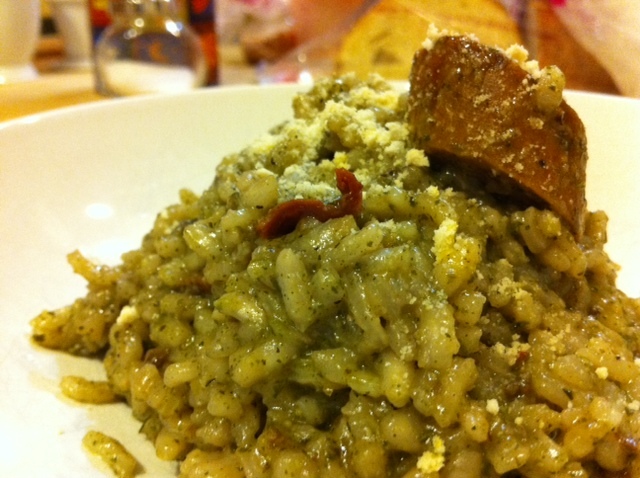 My additions are a couple of Tofurky Tomato and Basil sausages, lightly fried in olive oil and a few sun dried tomatoes (the ones that are packed in oil) chopped up and mixed into the risotto in the last 10 minutes or so. My little secret ingredient is my version of vegan parmesan…which in all honesty, I don’t really have specific measurements for. So just like I wing it when I make it, I’m gonna wing it here…so make sure you taste it before you add it to anything, and adjust to your taste. Add all in a coffee grinder or a blender, give it a whirl until all the nuts are blended and serve on top of your pasta/risotto/gnocchi dishes! The dried onion and lemon zest give it a bit of an edge to the taste resembling parmesan…so don’t put too much onion, or that’s all you will taste – it really should be just a dash! Sometimes I add almonds when I’m low on cashews, and sometimes I add some Nutritional Yeast, but that makes it taste more cheesy and I like that better on pasta rather than on risotto…hard to explain! Well, I hope you try it on one of your lazy days!